With the wave of positive change that has transpired since Malaysians cast their votes during the 14th General Election, the voices of Malaysian youth have steadily grown louder, bolder and stronger. Sharing their hopes for a new and better Malaysia, students from INTI International College Subang (INTI) recently conveyed their personal views and aspirations through a short video dedicated to Tun Dr Mahathir Mohamed, Malaysia’s newly elected Prime Minister. 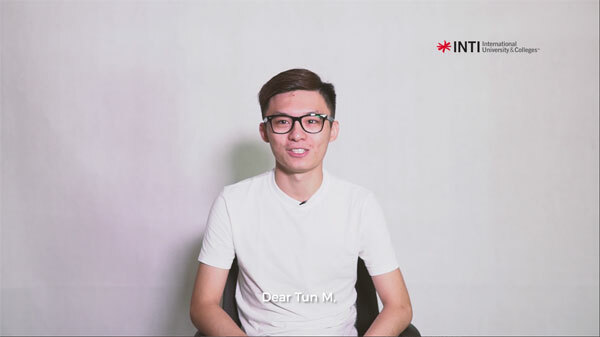 Stemming from an Instagram story on INTI’s Instagram page which asked INTI students what they would like to say to Tun Dr Mahathir if they were given the opportunity, the video, titled ‘My Love Letter to Tun Dr Mahathir’, showcases five selected INTI students sharing their messages to the new Prime Minister. With front row seats to the end of a six decade long political reign of the former government, which was halted by a new generation of voters, these students took the opportunity to share their personal take on witnessing this historical moment in Malaysia’s political scene. “I feel blessed to have been a part of these exciting times in Malaysia as we move forward as a progressive country. As a Malaysian youth, I can see how we are truly the drivers of change for the country. I believe we have the ability to redefine Malaysia and create a better nation for the future,” shared 19-year-old Aina Zamira, who is a student from the Diploma in Mass Communication programme at INTI. Aina further emphasized how proud she was to see Malaysia gain its first female Deputy Prime Minister, a role that has been predominantly led by a male counterpart since Malaysia’s independence. 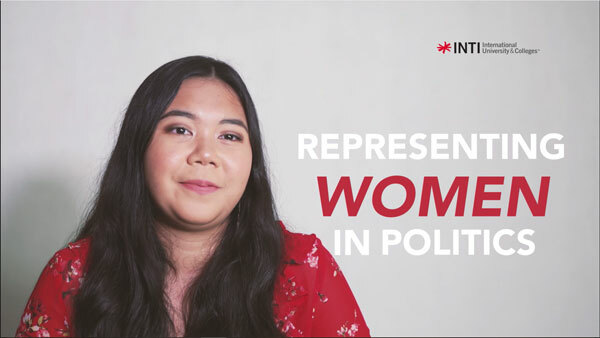 Her personal hopes for the new Malaysia is to see better gender inclusivity by having more women representation in the country’s political scene. Meanwhile, 21-year-old Jacob Wong Ken Wein hopes that more people will identify themselves as Malaysians instead of by their race or ethnicity as the country moves forward into a new era of democracy, unity and harmony. “The beauty of our country is that we are multiracial and multi-religious but we fall under this one banner that unites us. My hope is that with the transformation our country is going through, we will come to proudly identify ourselves as Malaysians,” shared Jacob. 19-year-old Danesh Nair took the opportunity to address his hopes for Malaysia to progress towards being a country that can provide free education for students in government schools, citing that education should be a privilege attainable by all Malaysians. On the other hand, fellow college-mates Vernisha Jassmin, Alexander Jeremy Joseph, and Jacob Wong, were grateful for Tun Dr Mahathir’s comeback into the political scene and making a change for a better Malaysia. Echoing the message of many young Malaysians, Vernisha felt inspired by Tun Dr Mahathir’s actions on driving progress in the country in spite of his age, while Aina was grateful that the Malaysian youths were given the opportunity to have an active role in deciding Malaysia’s future. Having seen the shift in political parties and government for the first time in their lives, this experience has helped these young soon-to-be voters realize the great power and responsibility they have in making a change and creating opportunities for a unified nation. The video also encouraged students to share their opinions and be more attuned to social and civic engagement through discussions on political and social matters.